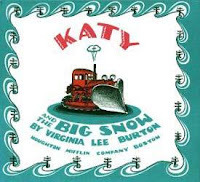 Proverbs 31:17 says, “She sets about her work vigorously; her arms are strong for her tasks.” That was a good verse for Katy in Katy and the Big Snow. She works hard to plow the city so the city officials can do their jobs. She goes North, South, East and West to shovel each department out. . . So, we learned a little about the important jobs in running a city, what street signs tell us, and had an introduction to maps: what a map is, the four main directions on a map (N, S, E, W), what a compass rose is and what map symbols are. Beginning Geography has been a huge help for this lesson! We will keep plugging away with maps by learning about map keys, map scales and more. . . and I will share a review of this fun book later this month. We also assembled a traffic sign mini book. And built our own "geopolis." Then we took a trip to the Highway Transportation Department to sneak a peek at the snow plows used to plow our city. The big ones with the fancy electronics are kept inside. For a fun art activity, we had some "plowing" fun with shaving cream and Elmers glue and made an indoor snowscape. We used LOTS of glue. . .
And it was a wonderful gooey mess with several willing participants. Fun for snow plowing. . .
Good, soft, squishy, messy fun. I did mention the mess part. We've had our share of big snows this winter... but this was fun. And we've been sick (on and off for 3 weeks) so going out in the cold for the real stuff was not an option. Because hot chocolate warms you up on a cold day. (that's whipped cream with hot cocoa mix mixed in). . .
And my double chocolate version of Hot Fudge Cake (brownies or chocolate cake, ice cream, homemade hot fudge sauce and whipped cream) seemed to be a good accompaniment. It was a little too much chocolate and sweetness for me (vanilla ice cream would have been perfect), but the kids didn't seem to mind!